Hannes Egger‘s audio-performance entiteled „Singulare & Plurale“ include the conversation between the individual (singular) and a communitiy (plural); between the artist Hannes Egger and the exhibition and its multiple projects/works/contributions; between the individual visitor and the exhibition and between the individual visitor and the group of visitors attending the performance. The audio artworks is divided into two parts. 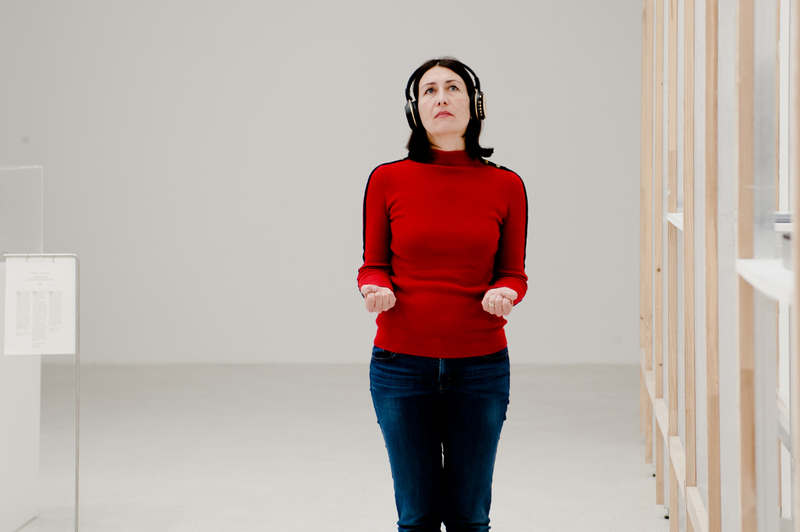 In the first part, the participant is invited to listen through headphones to detailed descriptions of five poses of different statues located in the urban area of Bolzano that they are asked to take up in the exhibition space. In the second part, the listener enters the camera obscura where they listen to a series of questions asked by the Swiss writer Max Frisch, taken from his Sketchbook 1966-1971.